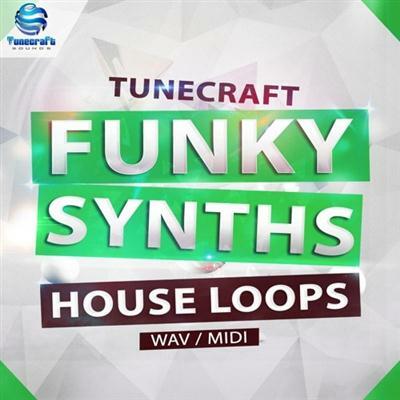 'Tunecraft Funky Synths House Loops' is a collection of synth loops designed for House producers. Expect to find 210 distinctive sounding synths loops delivered in 24-Bit Quality, created in a variety of genres with the most sought-after equipments within the industry. This pack is a collection of synth loops designed for producers of any kind of House. If you need top quality analog sounds to fill your creativity and create unique tracks then look no further. Each loop is 4 to 16 bars long, tempo and key labelled and ready to drag and drop into any DAW for seamless looping and implementation into your next chart topper. All loops have been optimised to sound great to save you hours of tedious sound design, and are available in different tempos to match all housey needs. You finally get 20 MIDI files and 39 bonus loops used in the demo as an additional bonus. Suitable for a wide variety of genres such as Deep, Lounge, Future or Tech House and a lot more, this pack will definitely enrich your library.